When you travel to Columbus, OH, for depositions and other legal proceedings, you may wonder where you should go to eat. We thought you would appreciate getting input from locals about the good restaurants. 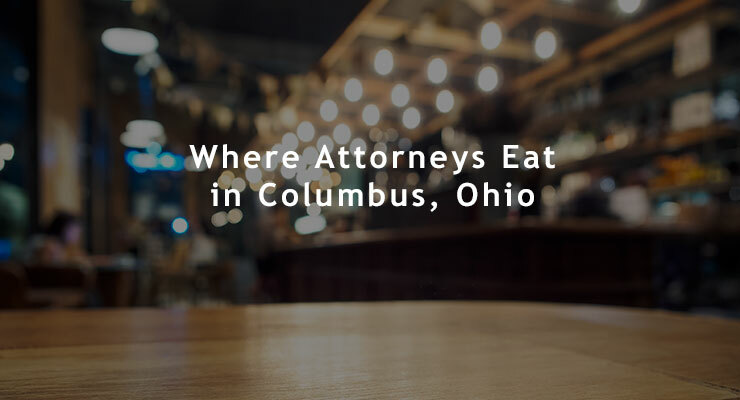 We asked several local attorneys, paralegals and legal professionals based in Columbus, Ohio to tell us about their favorite restaurants in the area. We credited those who gave us permission. These are listed in no particular order. Each restaurant name is linked to their website so you can get more information about it. Thank you to all of those who contributed to this article! We hope you’ll get a chance to enjoy some of these Columbus restaurants. Do you have any restaurants or quotes to add to this list? If so, we’d love to update this resource article with your input. Please let us know here. Get updates when we post informative tips and stories about court reporting, legal technology and other topics for legal professionals.